At Signature Eyewear we have eyewear to meet everyone's needs. 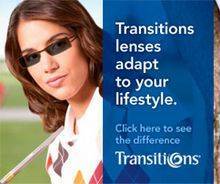 Signature specials start with just $99 for a complete pair of single vision lenses and frame. Great news! We now accept Oxford health plans and United Healthcare! We now accept Davis Vision! On the home page, left-hand side, click "Schedule An Appointment"
Did you know? At Signature Eyewear we have eyewear to meet everyone's needs.